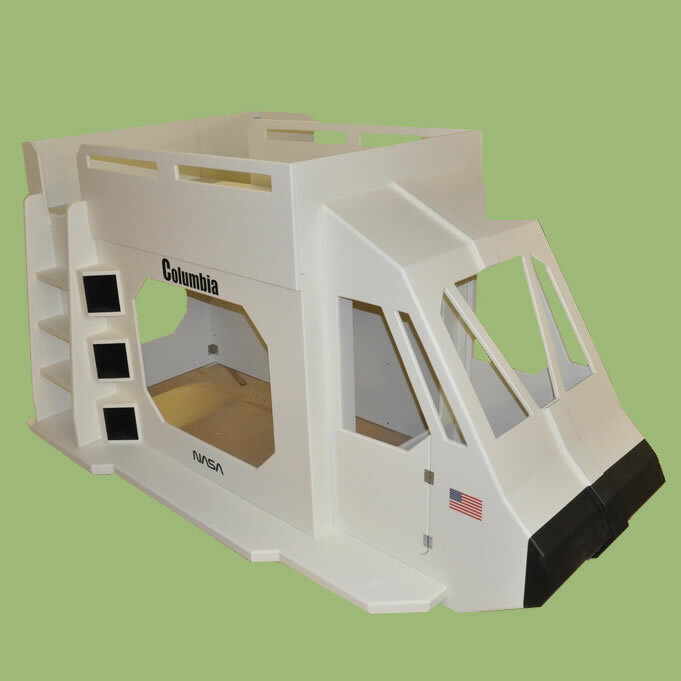 Space Shuttle Theme Bed with Custom Options - The custom Space Shuttle Theme Bed combines bunk beds and a play area in one great design! 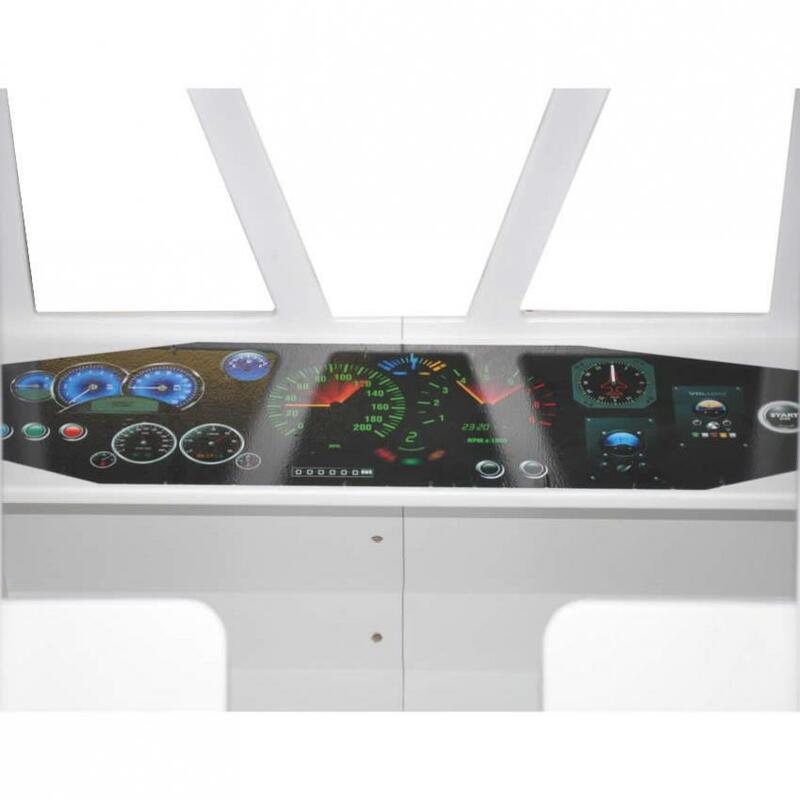 Your future astronaut will have great adventures piloting this space ship from his very own cockpit. 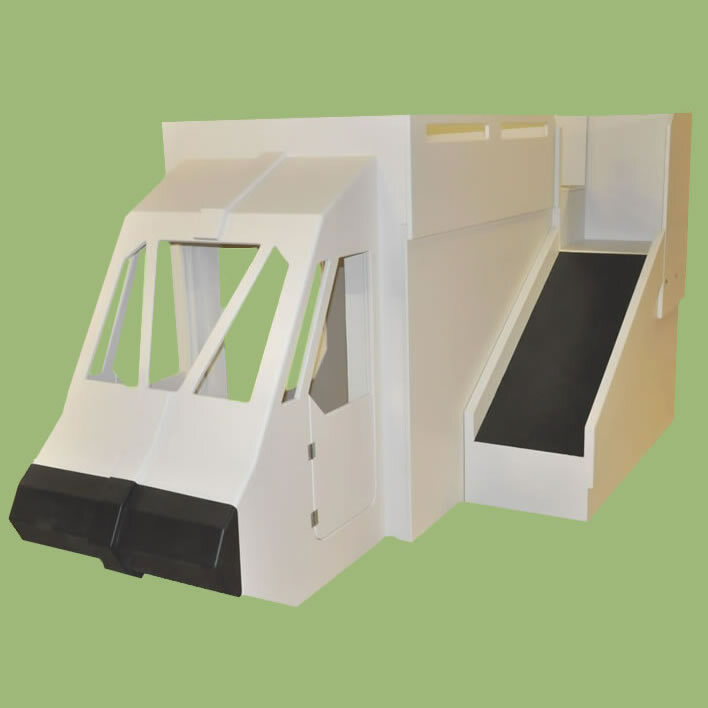 The cockpit comes complete with a bench seat for your astronaut and his co-pilot. With room for two twin beds, this themed bunk bed provides the perfect space for siblings or sleepovers. 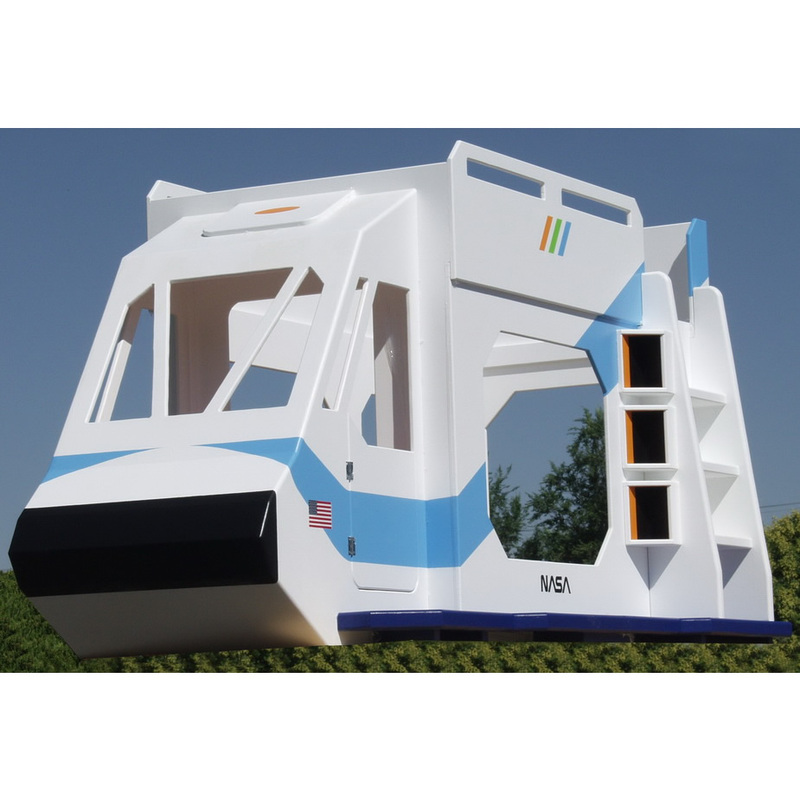 For more active fun, customize the space shuttle bed with a slide. ALL ordering options require a selection. See the descriptions below for details. We understand that there are a lot of options,. We're always happy to help if you have questions. 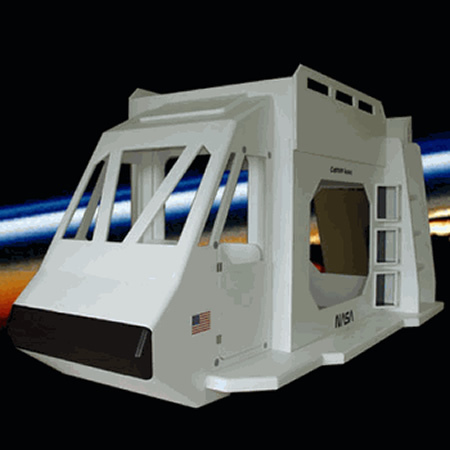 Space Shuttle Sizes: The standard space shuttle bunk bed is a twin over twin. 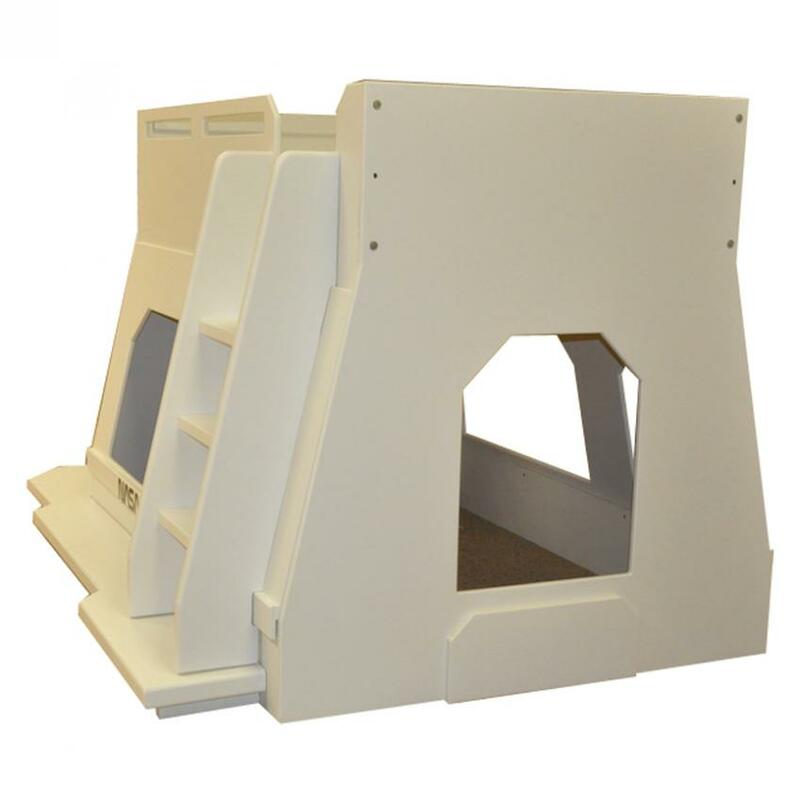 It's also available as a twin over full bunk bed or a full over full bunk bed. 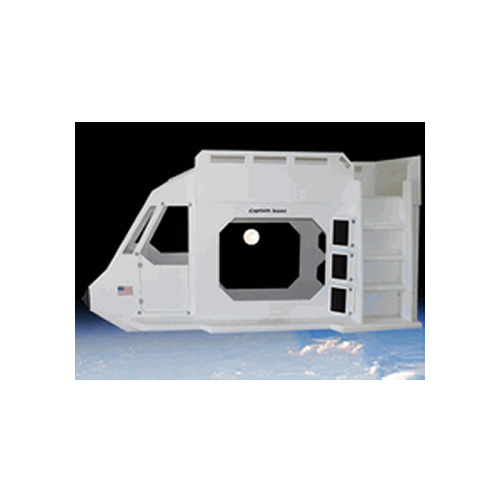 Ladder Options: We can flip-flop the design to have the ladder on the right or left side of the space shuttle. Please mark if you want the ladder on the right or the left when you're looking at the front or "nose" of the space shuttle bed. Dashboard Decal: See the photos under the main product image for a view of the dashboard decal. 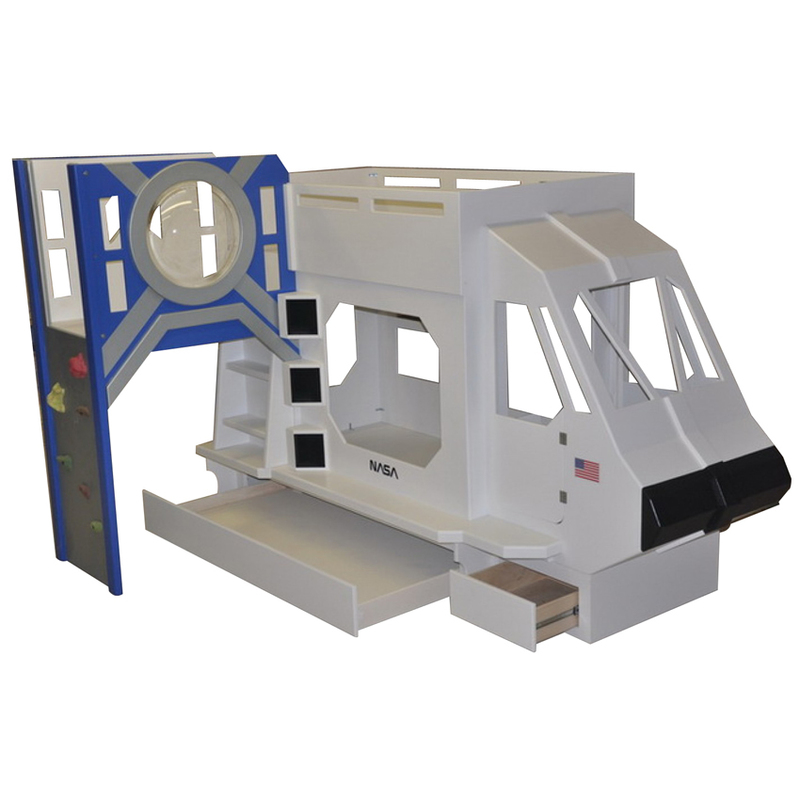 Personalization: We can add your child's name to the cockpit door showing that he's commander of the space shuttle. 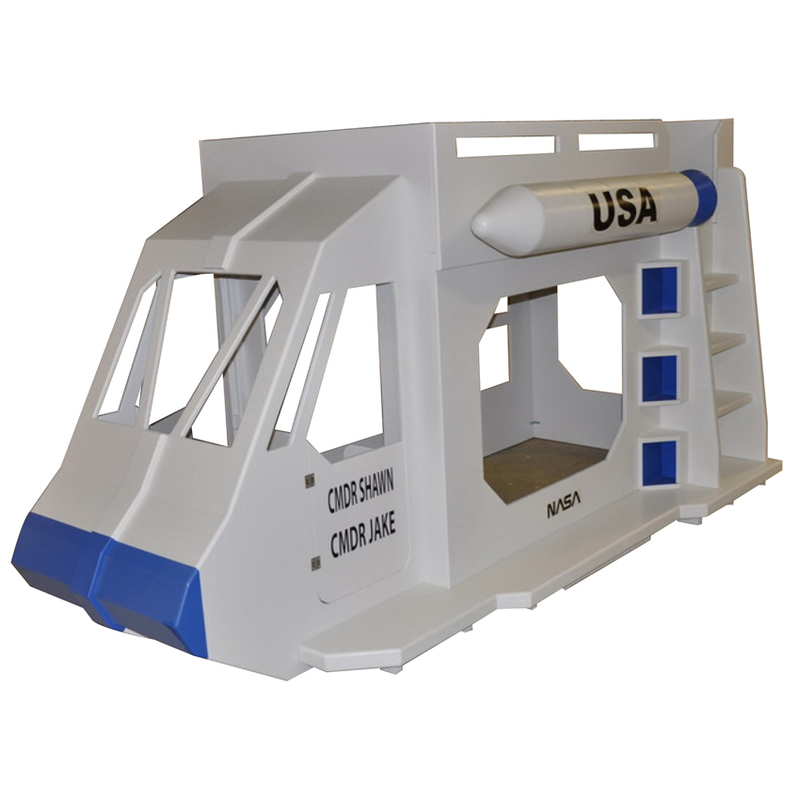 Missile: Add a missile labeled U.S.A. to the top bunk. Additional Wing: The "wing" is the piece that kids step on when entering the lower level bed. 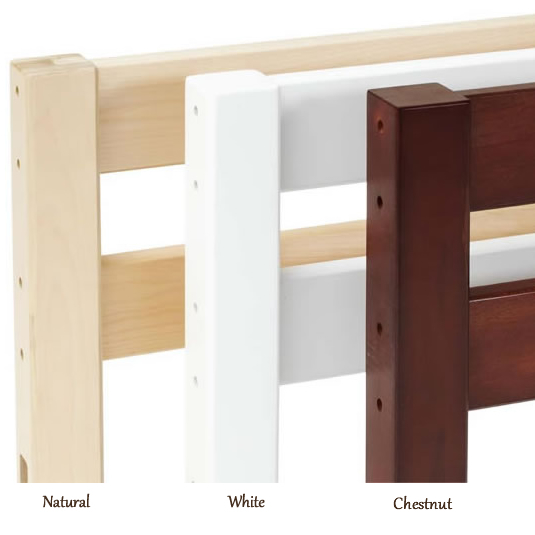 The standard version includes a wing on only one side of the bed. To save space, the other side is flat against the wall. To allow access on both sides, and to give a more genuine space ship look, we can add an additional wing to the other side of the bed. This option adds about 12-14". 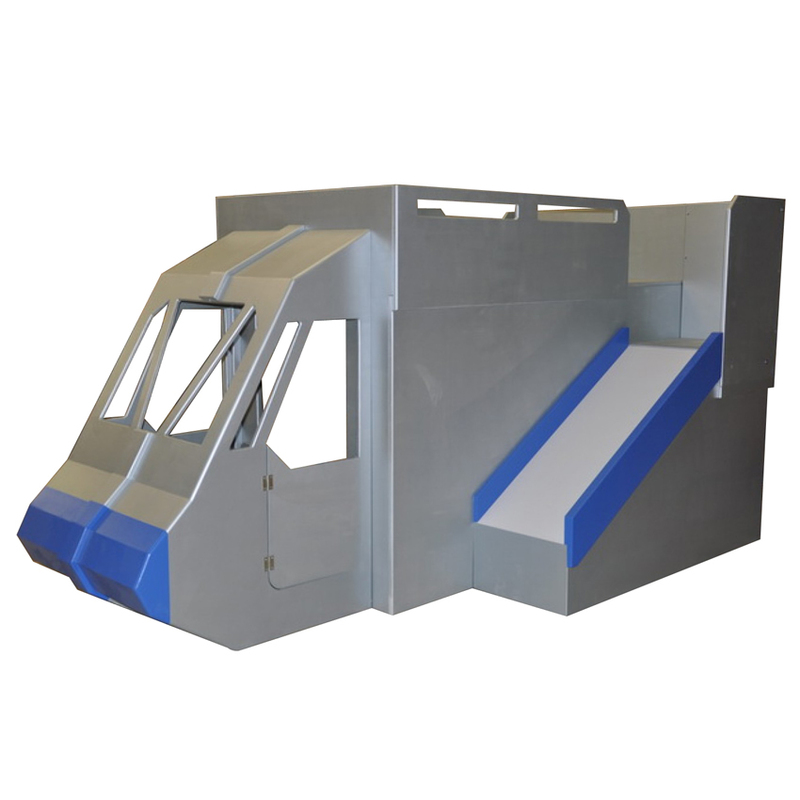 Please note that we can't combine the additional wing and slide options. 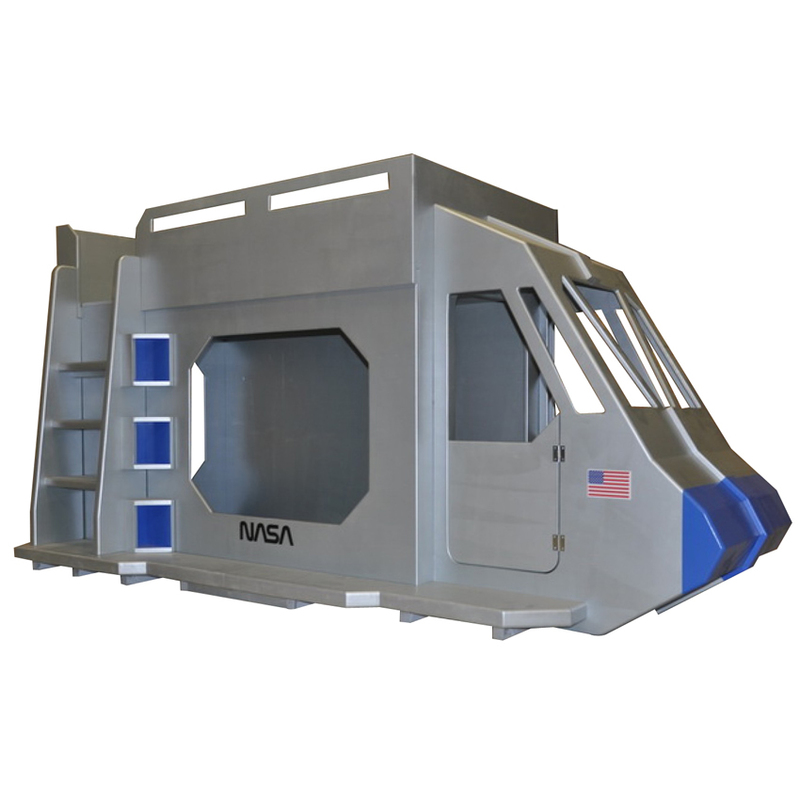 Slide: What could be more fun than having space adventures all day, sleeping peacefully all night, then sliding out of bed in the morning for more outer space fun? Our space-saving design adds only 20" to the width of the bed, but it adds hours of daily fun that only an indoor slide can provide. You can choose the location of the ladder and slide. 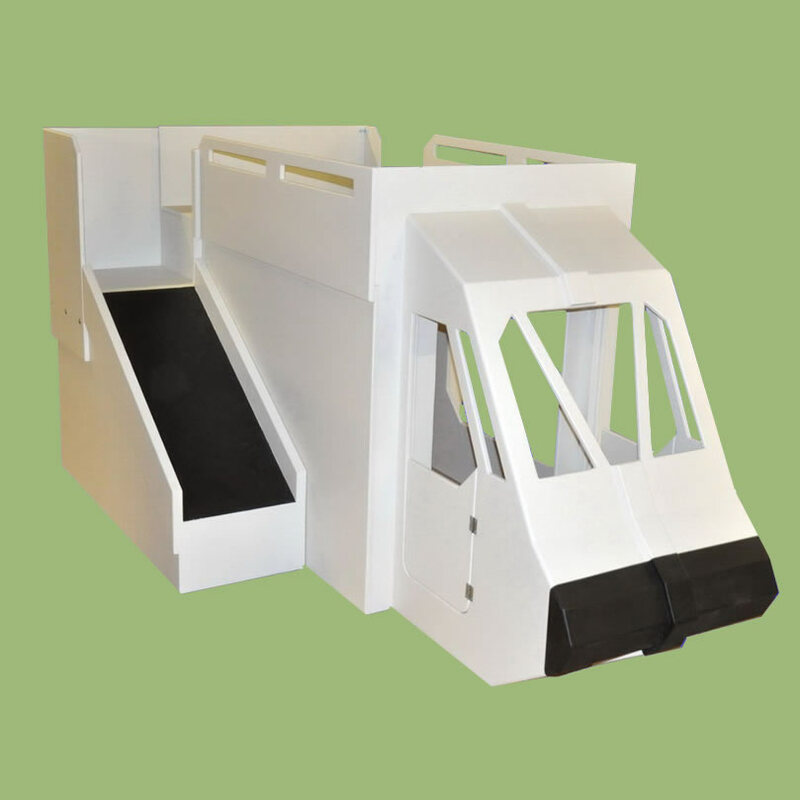 Please note that we can't combine the additional wing and slide options. Trundle: Need more sleeping space? Need room for storage? The trundle drawer offers room for a mattress or storage. Requires custom mattress 38" x 67" x 5". Launch Tower: The launch tower includes a rock wall and tunnel to access the bed. 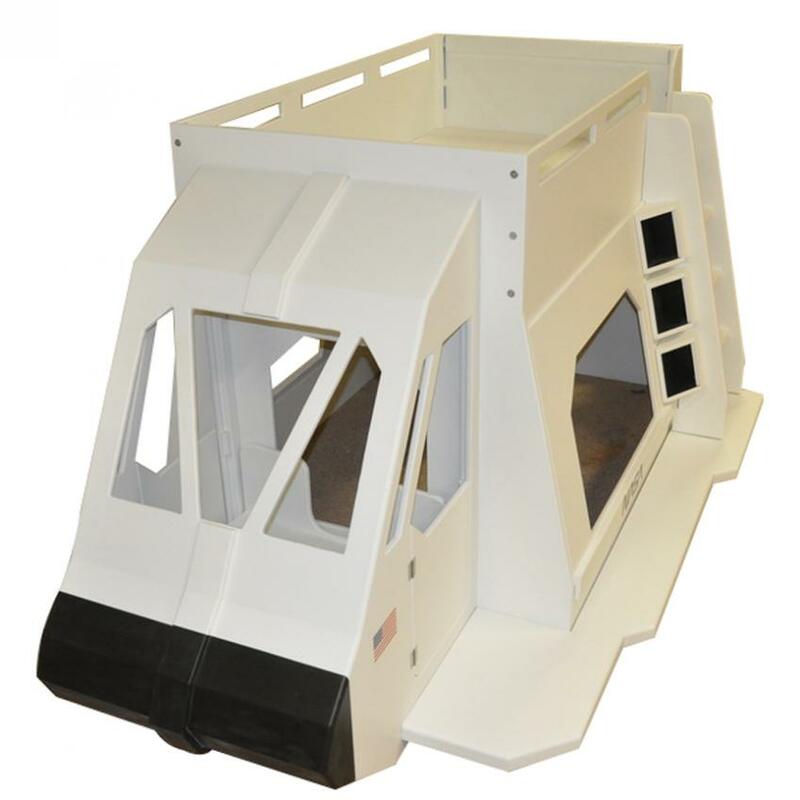 Freight Options: The shipping rate is based on the weight and size of the bed. 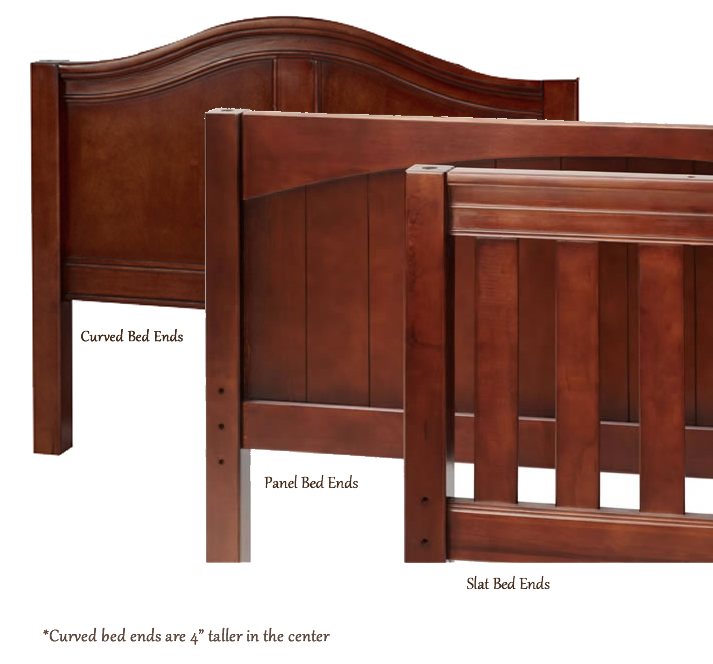 First, you'll choose the base rate that is based on the bed size (twin, full, or twin over full). If you add any of the options labeled Upgrade #1, Upgrade #2, or Upgrade #3, the shipping rate will be slightly higher due to the added weight and size. If you don't add any of these options, you'll pay the base rate only. Have an idea for a modification? Just ask. Our builders are amazing. We're convinced that they can do just about anything. Let us know your ideas, and we'll work with you to create the bed of your dreams! 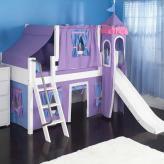 Wondering if this bed will fit in your child's room? Just send us a simple drawing showing the dimensions of your child's room with the locations of the windows, closets, and doors. We'll send you a computerized drawing showing this bed in your child's room. Our drawing will show a bird's eye view with everything drawn to scale. Email drawings to us or fax them to 888.258.9331.